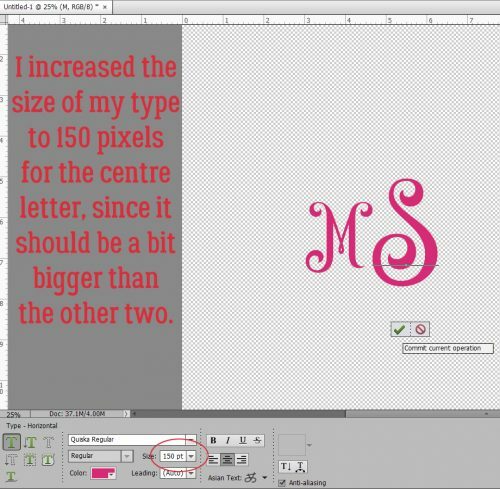 As promised, today’s tutorial is a demonstration of how to add some variety to your fonts. 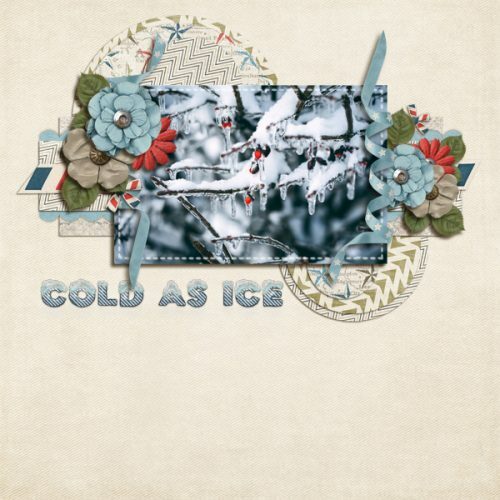 IceCold had the most options so I went with it for the layout I did up for the Mix It Up Challenge. I used a template from Jumpstart Designs that I’ve had forever and CathyK‘s Aviator kit. If you’re a faithful reader, you’ll recall that I like to create my titles on their own work space so I can play around without distraction and without messing up anything on my layout accidentally. 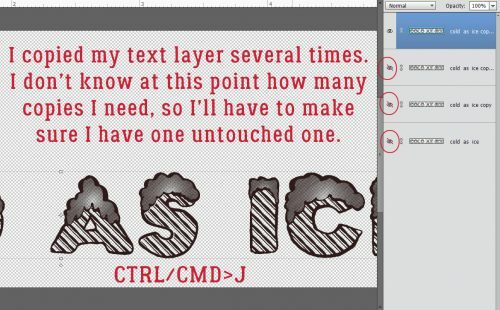 Before I can do anything to the text I first have to Simplify the layer. 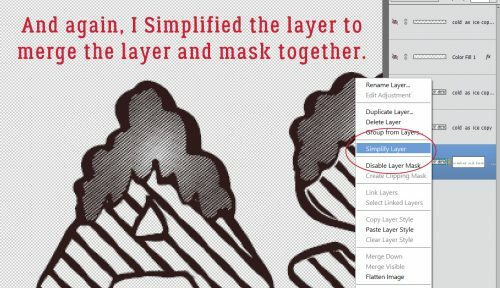 Right-click on the layer on the Layers panel then select Simplify Layer. The first thing that occurred to me was to make the snow caps look like snow caps. I was originally going to just Erase the letter parts but thought better of it. I added a Layer Mask by clicking on the icon that looks like a square of paper with a circle in the centre, right there in the middle of the icons at the top of the Layers panel. Why? Because if I go too far with my Eraser, I can easily change the tool to a paint brush and paint back the part I should have left alone. It’s as simple as toggling between black and white in the Color Selector. To know which color is the one you want, remember the phrase “White conceals, Black reveals“. Keyboard shortcut? Just hit the X key! Then I started Erasing away the letters from the snow caps. This part of my technique is VERY time-consuming. And it causes eye-strain too… but that never stops me from trying new things or writing tutorials about my experiments! Is it just me or do these look more like eyebrows than snow caps? Now I want to add some chill to my snow caps. In retrospect, I really didn’t need this step, but I have the screenshots so I’m going to show you because it does tie in with a later step. 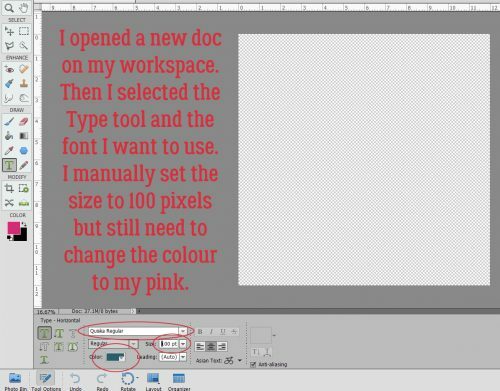 To quickly and easily change to colour of fonts and text, just create a Layer>New Fill Layer>Solid Color. It will apply your new colour to everything selected. 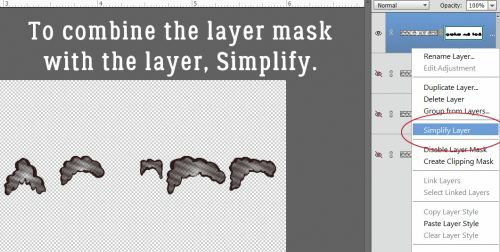 When the New Layer menu box opens, make sure the Use Previous Layer to Create Clipping Mask box is checked. If you don’t take that action, the whole canvas will be filled with that new colour. I know the blue is impossible to see, and as I said, I really didn’t need to do this step. 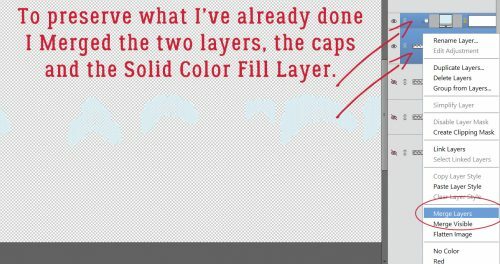 But can you see in the screenshot that I Copied the snow cap layer BEFORE I added the Fill layer to the original snow cap layer? That’s another WSNH tip. Only do things once! 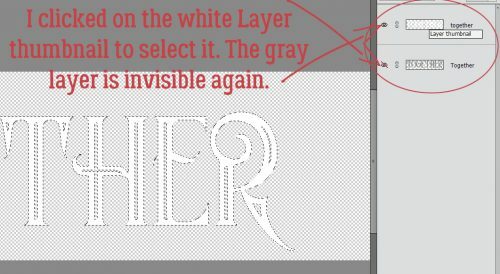 Again, you want to Merge these two layers in the same way and for the same reason you Simplify text and other Layer Masks. It’s to preserve what you’ve already done. This next screenshot is impossible for anyone to actually read, so I’ve included the pertinent information on it. 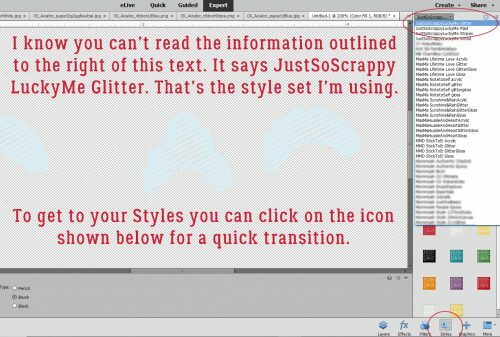 I’m going to use a glitter Styles set from Just So Scrappy‘s Lucky Me bundle. The fastest way to get to your Styles folder is to just click on the Styles button at the bottom of the Layers panel. Katie of JSS always includes both chunky and fine glitter in her Styles bundles. 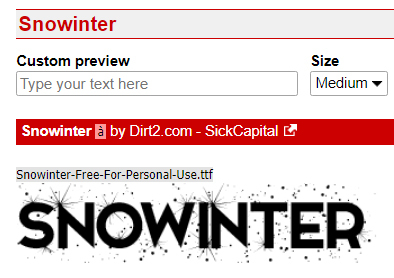 I chose the fine white glitter #2 option because my title isn’t going to be huge, and snowflakes aren’t either. This is the effect it gave my snow caps. Now you can see why I said the colour change wasn’t necessary… you can’t see any of the blue anyway! On we go to the copy of the snow caps. The colours in JSS‘s Lucky Me bundle work for this next phase, so I’m using the Chrome set for this. The Style adds a very smooth shiny look to whatever you hit with it. Again, Katie offers options! There are thick and thin Chrome coatings here. I knew I’d want the thin one so that’s what I used. It didn’t look quite like I wanted it to, so I right-clicked on the fx icon on the layer in the Layers panel and opened up the Style menu. I adjusted the various sliders to give me more of a chilly, icy look. 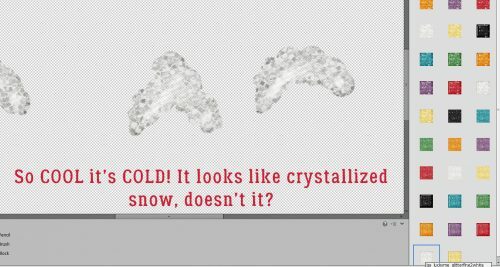 Then I lowered the Opacity of the Chrome layer and the snow cap has dimension, some colour and some sparkle. I could stop here. HA! I went down to the very first layer where I’d typed out my title, hid all the other layers, and added a Layer Mask to that first layer. Then I started Erasing the thin lines from the letter section of the title. Once I got them all Erased, I Simplified the layer. I also wanted to lose the snow caps, but because I’d already isolated the snow caps, it was a piece of cake to get rid of them. 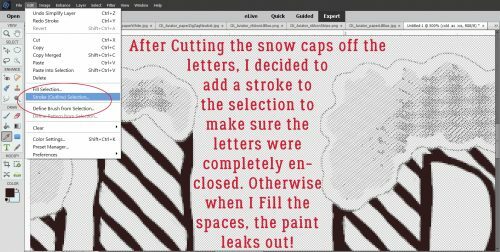 I clicked on one of the snow-cap only layer thumbnails to Select the outlines of the snowcaps – while still on my lowest layer – then Edit>Cut (CTRL/CMD>X) them away. 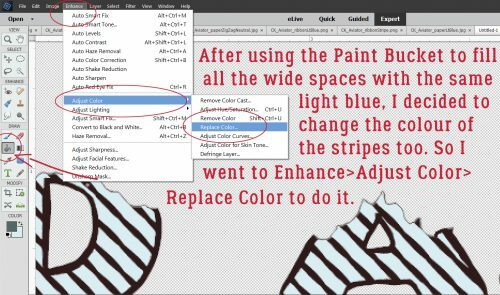 I knew I wanted to use the Paint Bucket to fill the wide spaces with colour and I knew (from prior experience) that if the areas I was filling were not COMPLETELY enclosed, the whole shebang would be filled, I decided to put a Edit>Stroke around the snow caps’ edges. Just a skinny one, 1 pixel wide. Then I erased the parts that weren’t required. This is where I wound up. Then I used the Paint Bucket tool to fill in all the spaces inside the letters using the same light blue as before. I decided the dark brown lines were just too harsh, so I wanted to change them to a darker blue/green. So I went to Enhance>Adjust Color>Replace Color. Another thing I’ve learned form doing it wrong a thousand times is to make sure the colour I WANT is the BACKGROUND colour. Then I clicked on the colour swatch at the top of the menu – the colour I want to replace – and used the eyedropper that popped up to click on the dark brown. Then I clicked on the lower colour swatch to make it active. If I had a colour on my canvas that I wanted to use, I could then click on it with the eyedropper, but I don’t so I clicked on the background colour swatch where I have my darker blue-green. And bingo! the dark brown is now dark blue-green. I could stop here. But you know me… I didn’t. I felt like the letters needed some sheen to make them look icy. 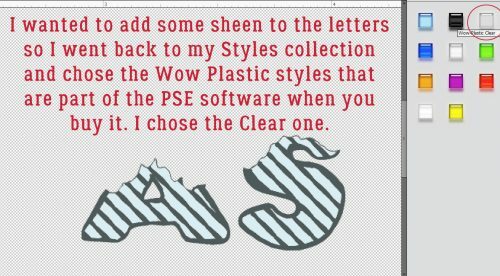 I opted to use the Wow Plastic Styles that were already in PSE when I bought it. There are 10 options in that set. If you hover your cursor over the little blocks it’ll tell you what each one is. As you can see, it changed the colours quite a bit while adding that shine I was after. I played around with the fx menu a bit. Then I checked to see if the title looked the way I wanted it to. And it didn’t. I went back to the title canvas and Copied the white glitter layer, moving the copy layer to the very top, above the shiny blue Chrome layer. Then I Erased some of the top white glitter layer to make it look like freshly-fallen snow on top of some older, crusty stuff. (Those of you who live in the snowbelt know what I mean.) Then I opted to play with the letters layers again. I tried one of the Glass Buttons Styles, which also are integrated PSE styles. Only snag? All that work I did with the stripes went bye-bye. Boo! But wait… There’s a tweak for that. I still had some snow-cap-less layers there in the middle so I went to one of them and erased everything but the skinny lines. 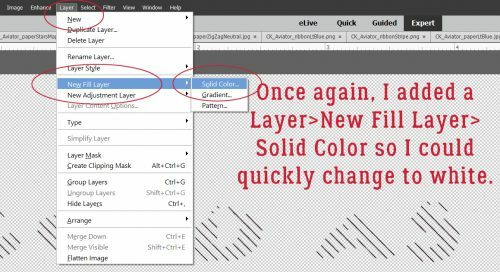 Quick change to the colour – Layer>New Fill Layer>Solid Color in white. It’s pretty subtle, but it’s there and I like it! So let’s see how it looks on the layout. YES!! I think it’s a lot closer to the colours in the photo and I’m very happy with the outcome! 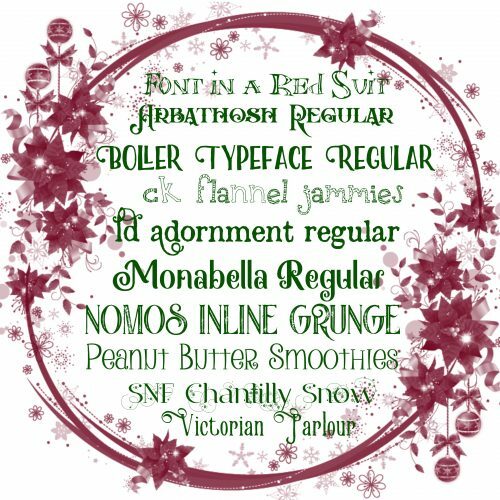 As much of the Northern Hemisphere is being walloped by heavy snow, high winds and frigid temperatures (which basically would be Wednesday here in northern Alberta 😉 ) I thought I’d compile a collection of free fonts y’all can use for your winter layouts. Sound good? 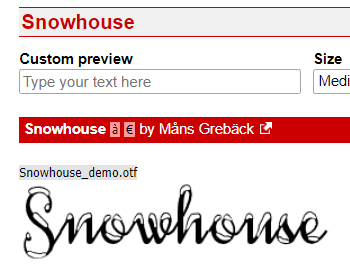 Each of the fonts I show you will be linked to the source so you can find ’em quickly! 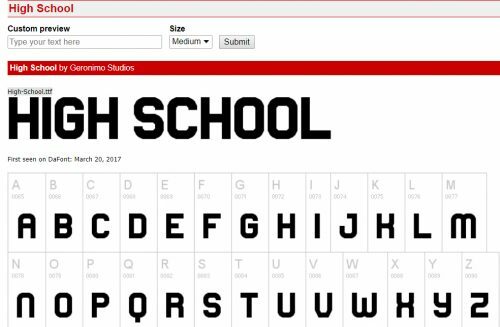 My favourite go-to website for free fonts is dafont.com. 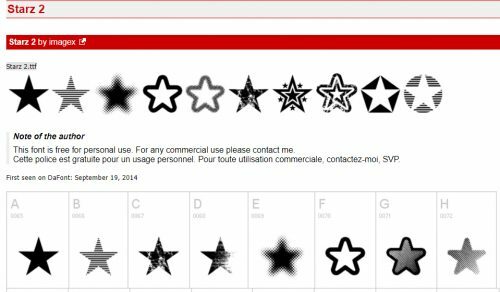 They have such a huge assortment of fabulous fonts and dingbats! Like Snowtop Caps, which also includes numbers and punctuation. 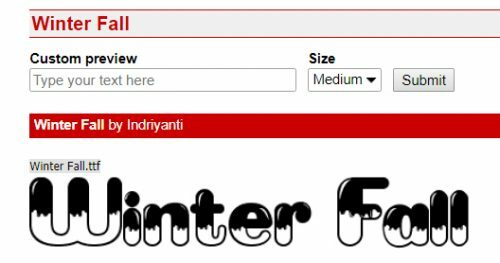 Winter Fall is a rounded font that would be great for a wintery title, but it only includes a small number of special characters and no numerals. Iceberg is chunky but still rounded. It also only has a few punctuations and no numerals. Winter Flakes has it all! It includes some dingbats too, so it’s pretty much perfect. Igloo Laser is a modern-looking all-caps font with numerals and a few punctuation characters. 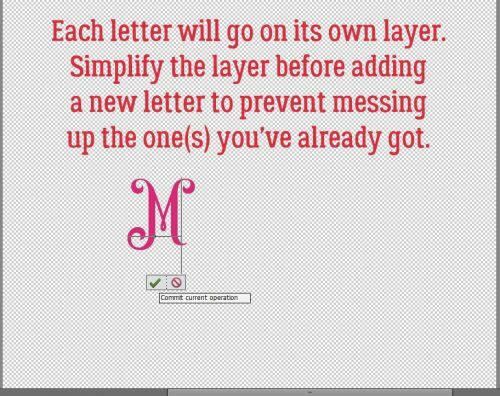 Snowflake Letters would look smashing with a bevel and a clear, glossy style on it. It’s all-caps, with numerals and punctuation. 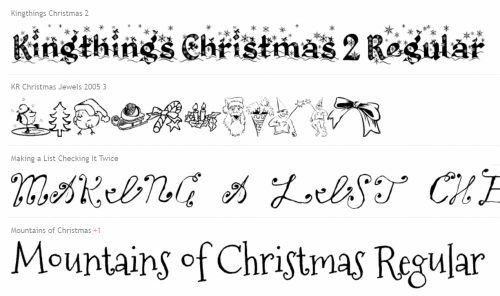 You could use Snowhouse for journaling; it’s a script font with numerals and some punctuation, and includes a large variety of special characters. 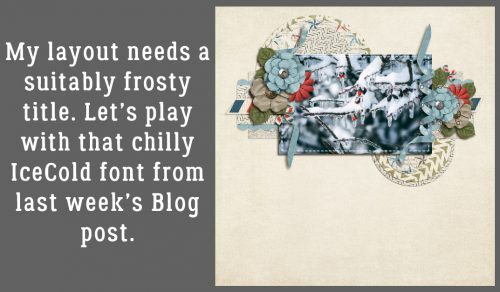 Snowinter is another super-title font, with all the goodies one would need. I like Kingthings Christmas a lot. It’s a complete package with awesome potential. I think I’m going to build a tutorial about how to use Ice Cold to its best advantage. It’s got some serious title charm! CF Tuques is just a fun font for winter. 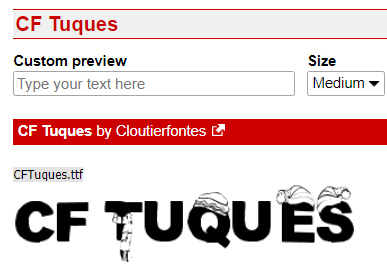 (I’m super-happy the designer spells “tuque” correctly!) No numerals or punctuation though. Now how about looking at some dingbats. Don’t know what a dingbat is? Basically, it’s a symbol, shape or drawing accessed through your alpha keyboard. 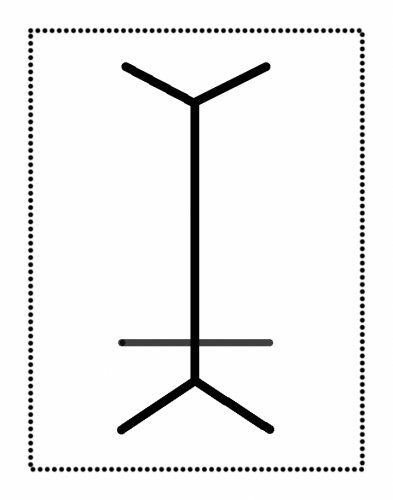 Winter has a collection of line drawings of winter things, like snowmen and snowed-in houses. It’s pretty cute! DH Snowflakes could be used for borders, dividers or backgrounds. Lots of possibilities! 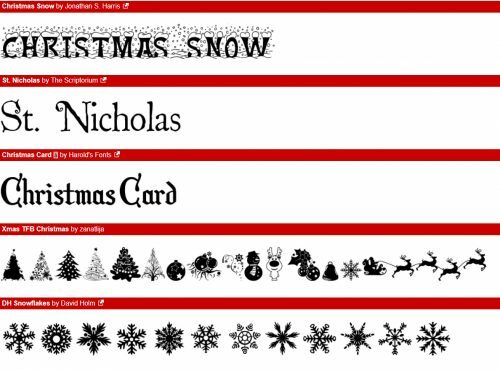 Faux Snow is another snowflake dingbat set with unique shapes. And so is WW Flakes. KR Snowpeople has an assortment of snowmen and snow-women. I invite you to check out the vast collection of fonts and dingbats at Dafont. I know you’ll find lots of inspiration there! First of all, let me apologize for missing my deadline. Time kinda got away from me between necessary home maintenance and my real job, so I’m playing catch-up now. Here in the northern hemisphere, we’ve headed into fall (at least where I live, we’ve had frost advisories two nights in a row already), the kids are back in school and the Shop is packed with amazing autumnal kits. 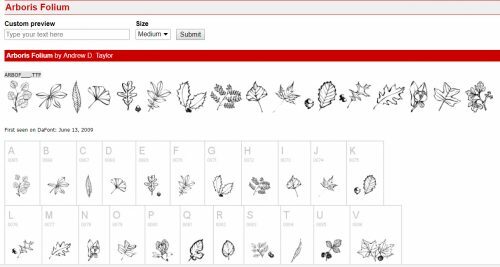 So I thought it might be a good time to look at some free fonts and dingbats from dafont.com that might be just what you’re looking for to make your fall layouts even more perfect. 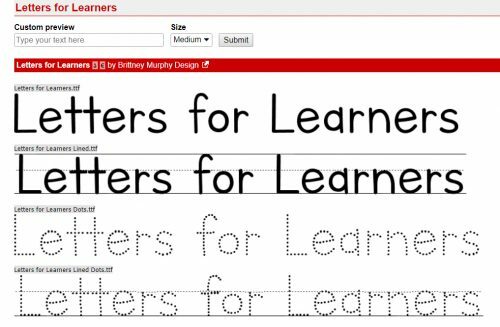 Let’s start with some back-to-school-themed fonts. 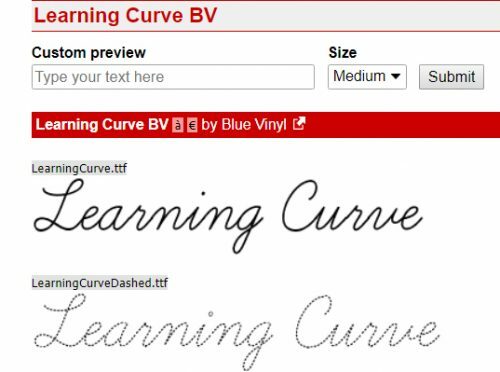 These would be so awesome for elementary school layouts, although I’ve heard lots of schools are no longer teaching cursive writing. What a loss that is! 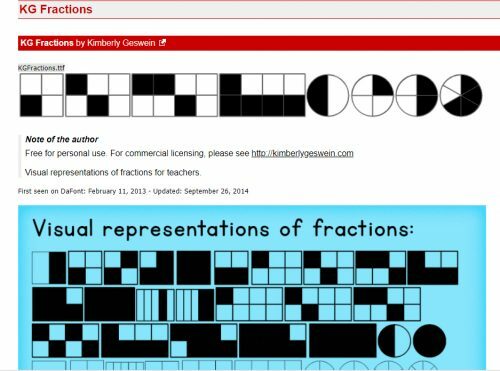 For the slightly older kiddos, fractions! 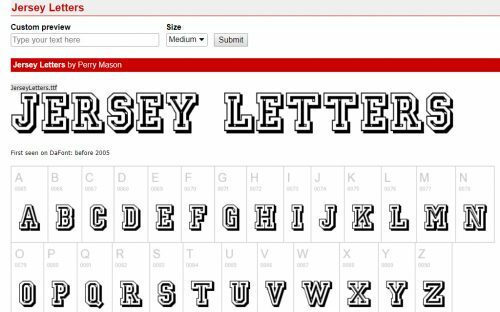 Then there are some great fonts for the varsity crowd. 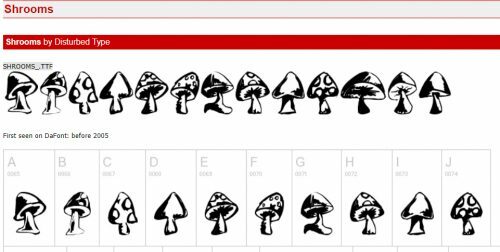 If you don’t have any dingbats in your stash, you’re missing out! 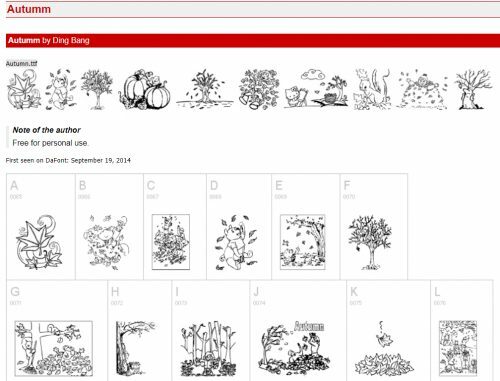 Dingbats are scaleable images that can be used for a variety of purposes. Check these doodly ones out. We can’t forget fall sports. Some of these balls are probably rolling around at your house these days. We can’t leave out the young adults in our lives who are now in college/university. I don’t know about you, but stars still mean a job well done to me. 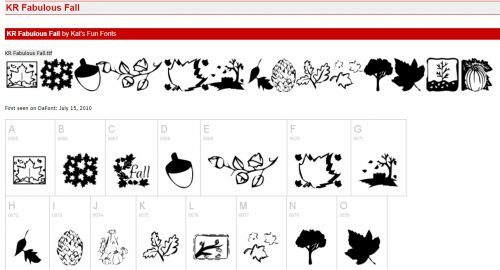 If you don’t have anybody going back to school, you might have a use for some cool autumn-y dingbats like these. Yeah… we have some nasty (and enormous!) mushrooms growing along the fence in our back yard. Can’t seem to eradicate them, and the dogs found them the other day. I’m glad they didn’t eat them. There are so many ways these can be used. They can be turned into brushes, used as clipping masks, filled with colour, turned into a border or a scatter… the limit is your imagination. As I mentioned above, these are all FREE. DaFont has a lot more, too. This is just a little teaser! Lately I’ve been really interested in designing labels for decorative items I’m planning for my home. It’s a challenge, but it’s also a lot of fun and lets me use my creative eye, PSE skills and a little ingenuity. 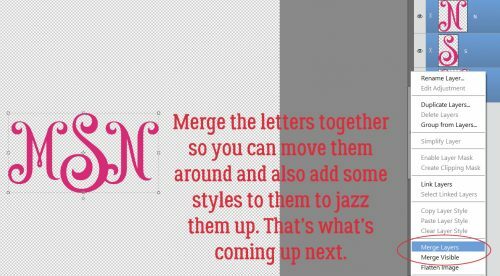 When my grand-daughter was born late last month, I thought I should design a monogram to use as the title of a layout introducing her to the world. I think we all know what a monogram is. But did you know there are some conventions around them? Monograms have been used for about 2 millenia. Yep, they’ve been around since about 350BC when they began to appear on coins issued by Greek cities, identifying the coins as having come from there. They’ve also been used as signatures by artists and craftsmen, especially when trade guilds began enforcing their rules about membership and took measures against those engaging in those activities without authorization. They later were used as signatures of monarchs and noblemen to identify their holdings, their armies and their money. Individual monograms came into use as a natural continuation of their use by Important People. They can be part of the letterhead on personal stationery, to identify one’s luggage, to fancify their handkerchiefs, shirts and ties and oh, yeah… wedding invitations! If the monogram is that of a woman, her surname initial is the central, larger one, with her first initial on the left and her middle initial on the right. For men, that convention is often ignored, and their initial are put in order of appearance in their name. Engaged couples may choose to have their two first initials entwined and newlyweds might have one member’s first initial on the left, their joint surname initial in the middle and the other member’s first initial on the left. The example below has my grand-daughter’s initials following the first individual convention. I used MainType 7.0 (as described in the tutorial on organizing your fonts) to find the perfect font for the job. 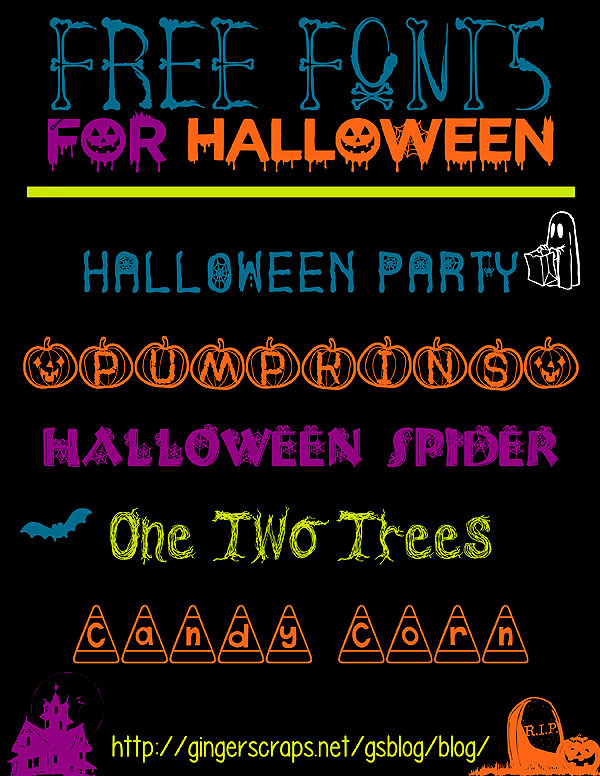 The font I ended up using is one I picked up at the FontBundles July $1 event. It’s called Quiska Regular and it’s gorgeous! Once I’d settled on my font, I opened a new 12×12 document in PSE. I like to work large and then resize because detail is so much more visible. 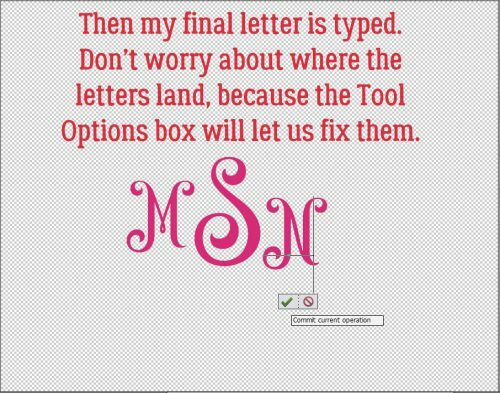 Then I found the font in my Type tool menu. (Keyboard shortcut is just the letter T.) I increased the size of the font to 100 pixels. And last, I changed the colour to that luscious fuchsia. I put each of my 3 letters on their own layers. I know I’m going to want to make adjustments to one or more letters, but not necessarily all of them at once. I’m not lecturing you, really… but remember to Simplify those letters as you go along. Elements has a bad habit of messing with your existing text should you decide to change fonts or colours if you don’t take that step. 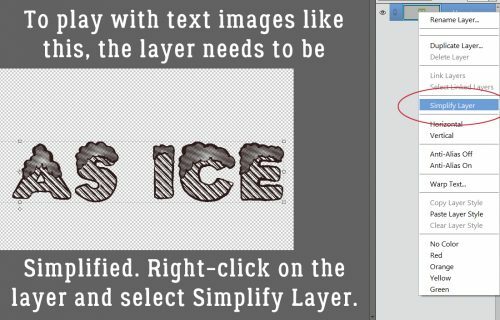 Once the layer is simplified you can’t change the font, but you CAN resize, recolour and play with it. 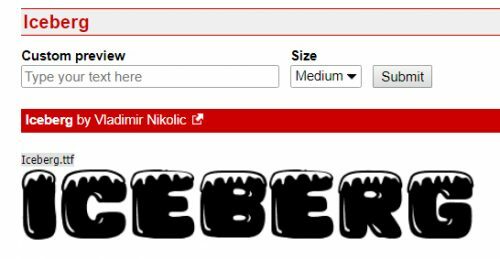 For that middle initial I changed the size of the font (just by typing in the number I want into the box I’ve circled below) to 150 pixels. Then I went back to 100 pixels for my last letter. You’ll notice they’re randomly placed, and that doesn’t matter, because Elements has tools to fix that. 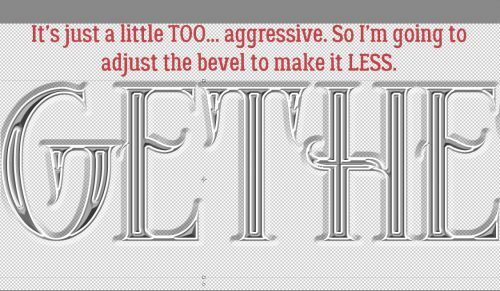 While I was playing with the letters, I didn’t like the size differential so I decided to increase the size of the smaller letters by 20%, to 120 pixels. Then it looked right! 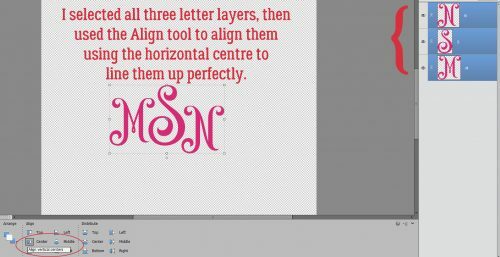 By selecting all three layers, I could then use the Align tool to line up the horizontal centres of the letters. I wanted a little bit of an overlap on the letters to tie the monogram together. So I used the Distribute tool too to shift the letters based on their vertical centres. All that’s left is to Merge the layers together to make a single object. They’re already all selected; right-click on them and select Merge, or just hit CTRL/CMD>E and they’ll unite. Those of you who read my tripe weekly will know that I wasn’t serious when I said I was done. I decided to add some flourishes to my monogram. 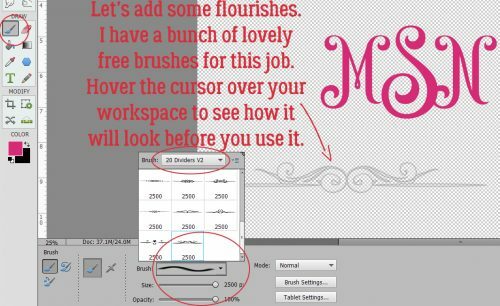 I love brushes and have quite a collection of them that I’ve often downloaded free from Brusheezy.com. The one I opted to use here is part of a collection called 20 Dividers V2. Did you know that if you hover the cursor over your workspace you’ll get a preview of the brush just like I’ve shown you below? You’ll know what it looks like and can then adjust your size and angle before you even use your brush. I know I sound like a broken record. Good habits are important to streamline your workflow and prevent oopses. If you put your brushes on their own layers, you have total control over them. 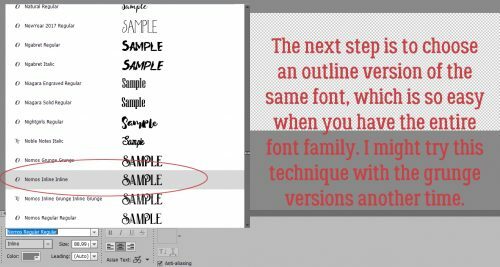 If you put them right on your paper, you can’t do anything with them – can’t change their colour (easily) or opacity, increase or decrease the size, apply a style, copy them or any other tweak you might decide is needed. So just put them on their own layers! For balance I want a second flourish; duplicating the layer is the easiest way to ensure they’re identical. 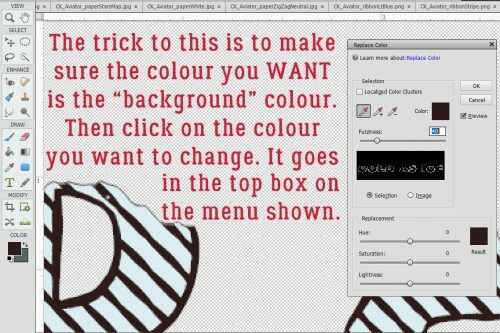 Either right-click on the layer and select Duplicate, then click OK in the pop-up menu or simply CTRL/CMD>J to copy it. Then I flipped the second brush vertically so the two brush layers are mirror images. 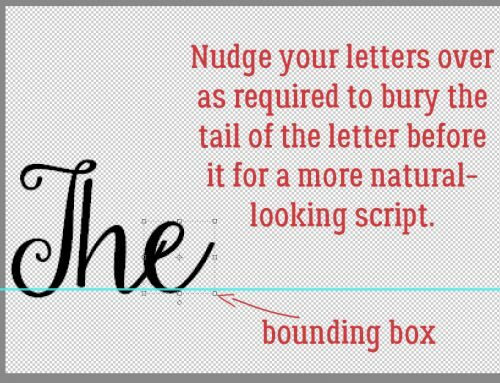 The easiest way to do that is to grab one of the middle handles on the bounding box then drag the handle in the direction you want the flip to go. (Either horizontally or vertically.) 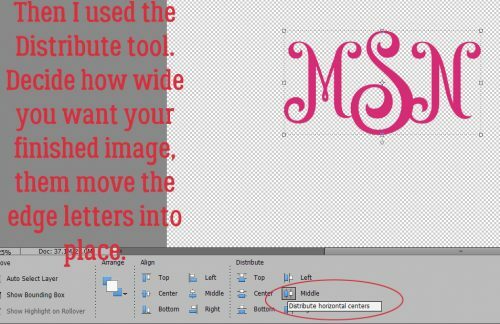 Don’t obsess over dragging it to exactly the same size, because you can simply type -100 into the corresponding box in the tool options below. Then the software does all the work. WSNH!! Again, let the software do the work to Align all the layers again. 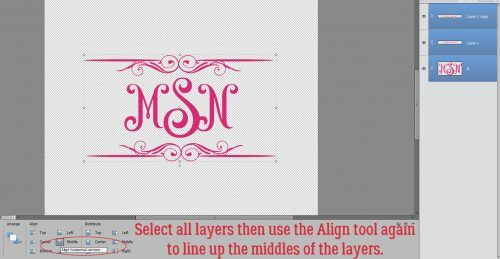 I opted to then select the two brush layers and shrink them somewhat so they were closer to the same scale as the monogram. Then I Merged the brush layers into one. I might be done… but then again, I might not be done! 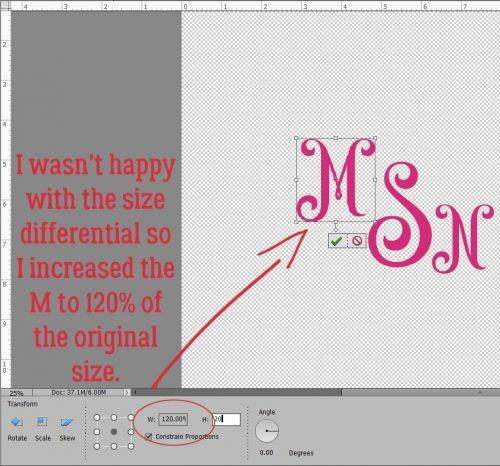 Let’s see what we can do to really make this monogram pop. I’m going to use a Bevel Style. I have the letters layer selected and used the Inner Ridge Bevel. It looks like enamel and I love it! Then I selected my brush layer and hit it with the Scalloped Edge Bevel just to give it a bit more weight and dimension. Isn’t that amazing?! And so simple!! I saved it as a png file so I can use it as the title for my layout when the time comes. Keep your eye out for it in the Gallery! I’m departing tomorrow (July 11/18) for a two-week genealogical expedition to Ireland. So there won’t be a tutorial next Tuesday or the Tuesday after. If I’m not totally whipped when I get home again, there MAY be one ready for the 31st. Think about what I can teach you next. Sláinte!! Wow, it’s Tuesday again already! This has been another one of those no-time-for-anything weeks, between my 48 hour work week, house-training a puppy who likes to get up 4 or 5 times EVERY night and the rest of the usual routine. I’m happy my dogs are bonded to each other, but the running in and out every 10 minutes is making me a little short-tempered. They’re worse than toddlers… but at least I don’t have to put them in snowsuits. I really haven’t had much time for scrapping since we brought this puppy home one month ago today. But I did manage to fit in a quick layout (about my dogs, what else!) for this month’s Font Challenge. 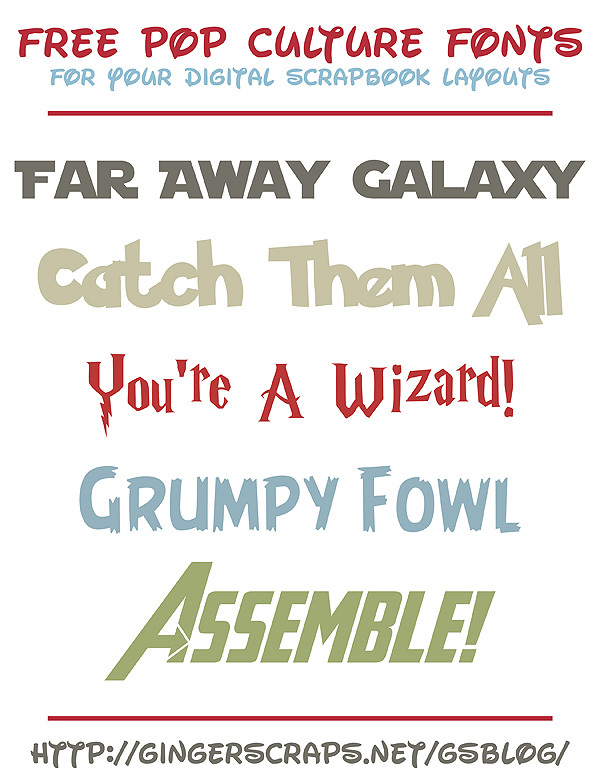 I love fonts, and the Font Challenge makes it so easy to pick up new, fun ones. But I gotta tell you, I was a little unnerved that this month the featured font was in script. Don’t get me wrong – script fonts are fabulous, especially for journaling where the text is personal and emotional. 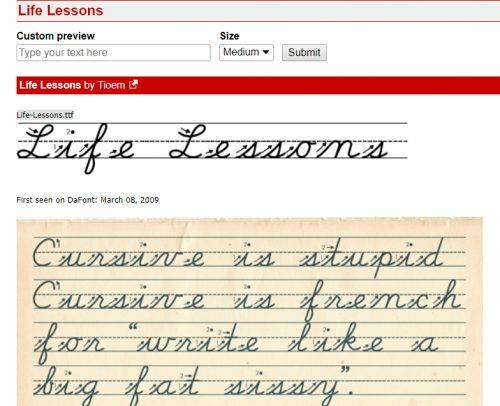 But there are some script fonts that just don’t look as good on paper as they do in the font browser. You know the ones I mean. The ones where there are a lot of unnatural breaks in the flow of the text. You look at your journaling and you change the font because it just looks awful. 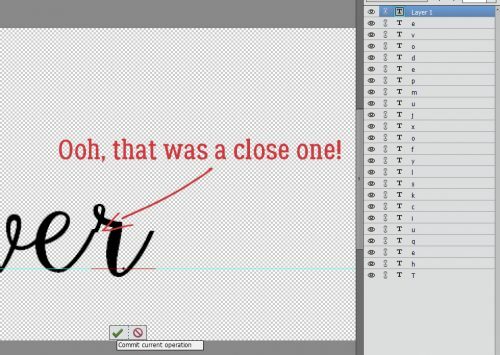 Those of you who’ve been reading my tuts from the beginning will know I’m a little bit Type-A, a little bit OCD… things have to LOOK right to BE right. 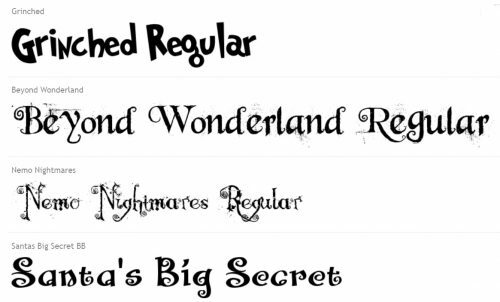 And those fonts make me totally cray-cray! Well, there’s a way to get around that! Fortunately, KG Eyes Wide Open isn’t one of those fonts that drive me crazy. It flows nicely, one letter to the next, so I got my layout finished without a melt-down. Beautiful Day Regular is an example of one that sets me right into a tailspin. See the gaps and malaligned strokes? I like my script text to look like someone took a pen and wrote it out; not too many people have that many breaks in their penmanship unless it’s an affectation. Elements is great software, but there are some things it can’t do. While it’s possible to set the Leading of one’s text (the space between lines of text) but there’s no adjustment for Kerning (the space between letters). 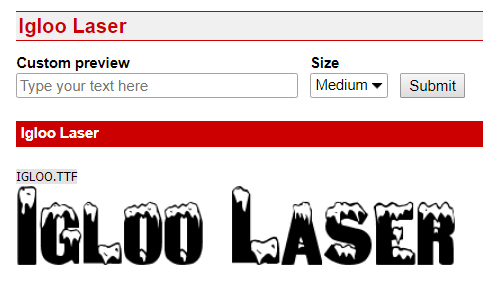 If I’ve chosen a font that ends up offending my eye (and my personality) I delete the text and start over. The first thing I do is make a new document/project on my workspace. I pull a Guide down to where I want my baseline to be to make the actual process less work. Elements has Guides that are easily dragged into place; put your cursor into the space at either the top of the workspace or at the far left of it, then click and drag it to where you want it. (My workspace has the Rulers visible, so I just put the cursor on top of the ruler and drag.) 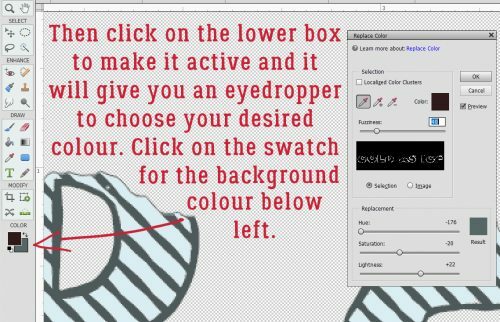 Another way of dropping a Guide onto your project is to click View>New Guide. This will allow you to tell Elements where you want the Guide to go. 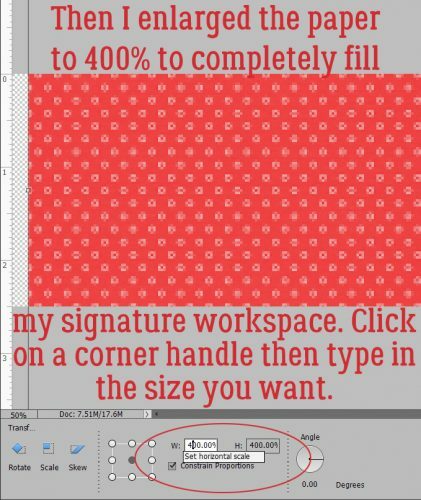 Be aware though that unless you Clear All Guides every so often, you’ll have a confusing array of lines popping up on your workspace seemingly at will. 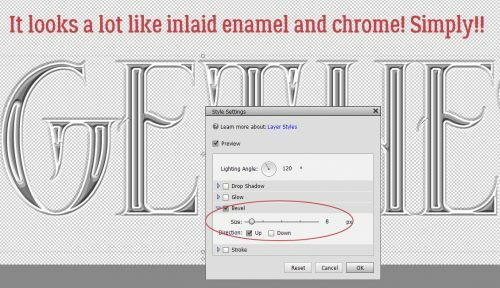 To make the process as simple as possible, I align the horizontal line of the Text Tool‘s “I-beam” cursor, a facsimile shown below, right on my Guide then click to activate it. Each letter of my text will go on its own layer. I have my Preferences set so that in the General settings menu, the Select Move Tool after accepting text box is ticked. This setting turns the bounding box on as soon as I Commit current operation. Then I can move that letter into its desired spot immediately. I keep typing my text out, one letter per layer. Nudging them into place right away saves a lot of time and effort. I put just enough space between the last letter of one word and the first letter of the next to make it look right. If I don’t get the next letter into quite the right place, it’s no big deal. I give it a little nudge using my right- and left-arrow keys. Of course, if you’re not all that bothered by script fonts that don’t flow, you’ve already stopped reading. 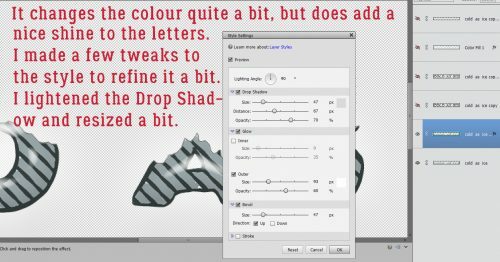 I’m sure you won’t believe me when I tell you this, but it took me less time to get to this part of my text, typing it out one layer at a time and nudging than it has taken you to read this tutorial up to now. But it’s true. I use the keyboard shortcuts I show you to make it so much quicker. 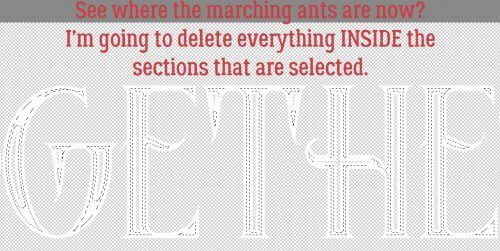 To engage the Text Tool for each successive letter, I click on the “T” – just the “T” – and it opens up. Then I click on my baseline, type my letter, click OK and nudge it. 5 seconds. I’m so particular about how my text looks, I make sure the strokes for each letter line up. It’s hard to know exactly where to put the Text Tool cursor on the baseline, so it’s a really good thing that it doesn’t matter at all! Okay, so. If you’re anything like me, you find yourself with not enough room to say what you want to say in the way you want to say it. If you need more room there are two ways to accomplish that. One is to make the canvas wider, the other is to make the text smaller. Image>Resize>Canvas Size or CTRL/CMD>Alt>C will open up the menu to make your canvas bigger, in whatever direction you need it to. 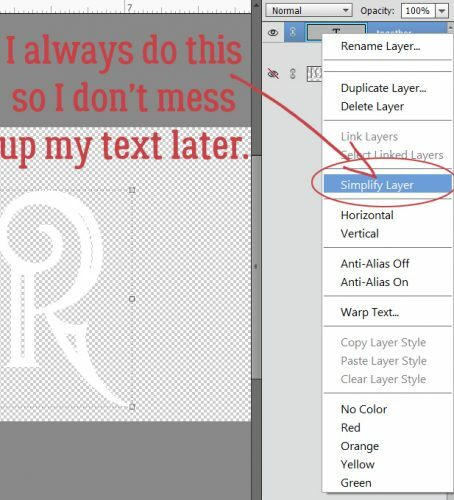 Or, you can select all the letter layers in the Layers panel, and shrink them to fit. After I was finished typing out my text and had it looking the way my mind says it should, I selected all the letter layers and Merged them. That can be done by right-clicking and choosing Merge from the menu, or with CTRL/CMD>E. I’m so happy that my tutorial on unzipping files was so well received. 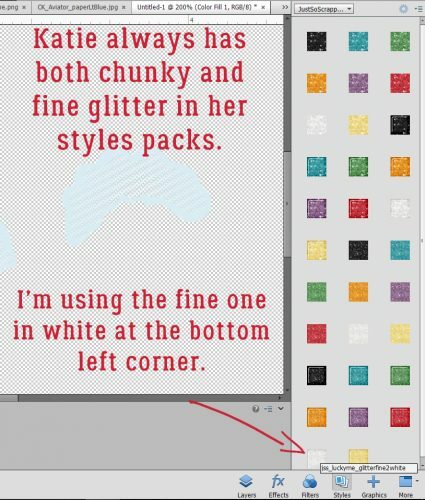 When I sit down to write my tutorials, I’m never sure if I’m giving you, the GingerScraps community, information you can use. Sometimes, it seems, I get it right. Please do offer me suggestions on topics for future lessons… I appreciate the feedback! Wow… less than a week until Christmas and Kwanzaa! And only 1 more day of Chanukah. I know there are lots of you who find yourselves right where I am… too much to do and not enough time to do it. So I know you’ll forgive me for scrimping a bit on this week’s tutorial, and I know you’ll understand when I tell you that I’m taking next Tuesday off. Sort of. It’s my turn to work Christmas in the pediatric ICU and on the 25th and 26th, that’s where I’ll be. Okay, now that’s out of the way, let’s talk about those holiday layouts we’re all going to be creating over the next couple of weeks. 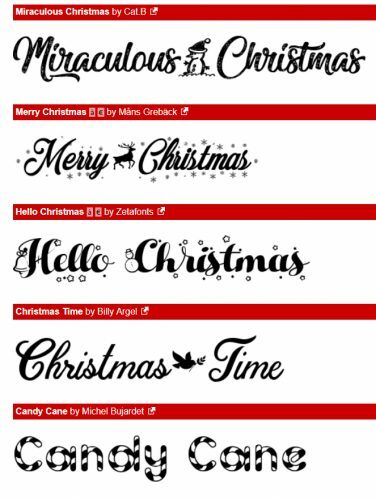 I’d like to share some amazing Christmas/winter/elegant fonts that would be fabulous for titles or journaling. I checked out a few online earlier today and found some real gems! 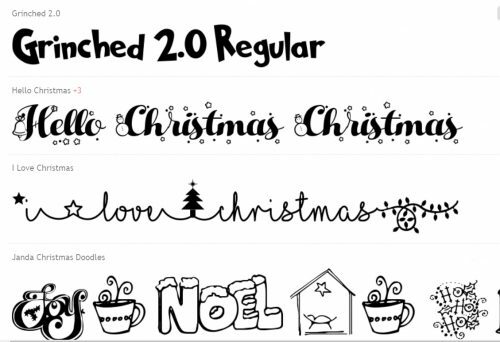 The next few images are all from 1001fonts.com. There are some dingbats in there too – that could come in handy someday… you never know! 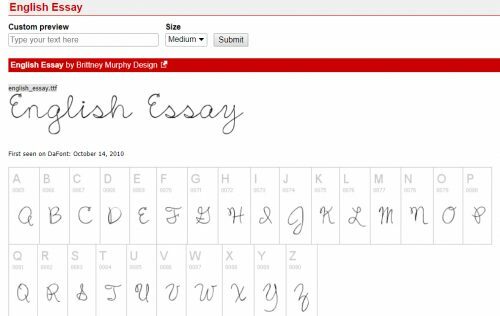 They are all free, but please consider making a donation to the fontographer if you like their work. As you can see, there are a variety of styles and moods here. I just love the titles some of them have, don’t you? Very descriptive. 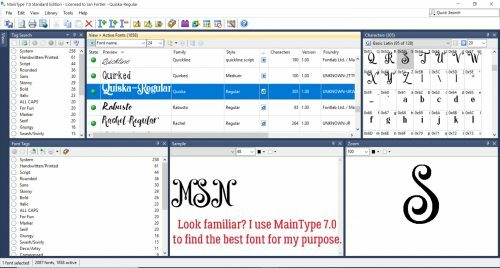 I don’t know about you but I may never have enough fonts. Some of these are already in my collection but I need more!! 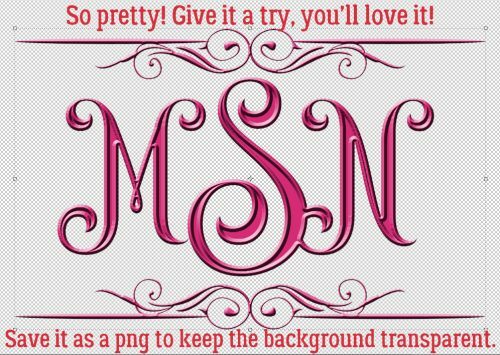 The images and fonts below are from another of my favourite font sources, dafont.com. 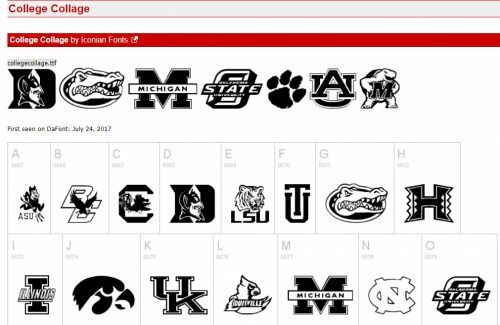 You might notice there are some duplicates, but each site has a nice selection of unique fonts. 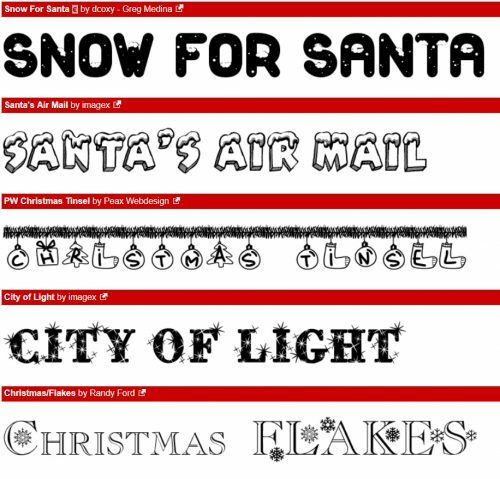 Santa’s Sleigh has been one of my collected fonts for years. Do you have a favourite? Some of these make me think of Christmases when I was a kid. And of course, there’s gotta be some snow in there. And tinsel! City of Light would be awesome for Chanukah layouts, wouldn’t it? There are some here I’d be hard pressed to find a use for, but there are so many more that I could definitely make work for me. I’ve barely scratched the surface here. 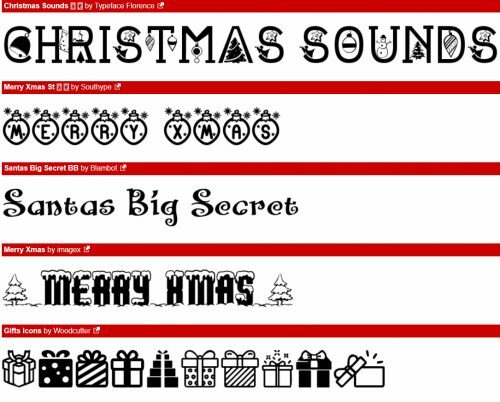 There are hundreds of free and low-cost festive fonts out there if you have a minute to look for them. I’m going back right now to download some more… instead of wrapping gifts or cleaning my house. 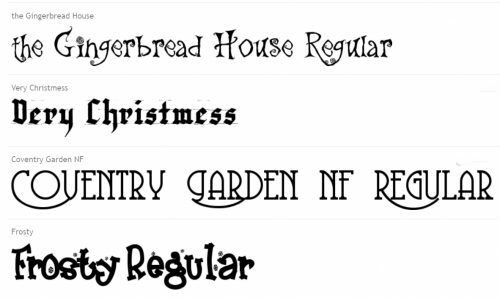 Below are some of the fonts I’ve hoarded over the years, both free and paid-for. 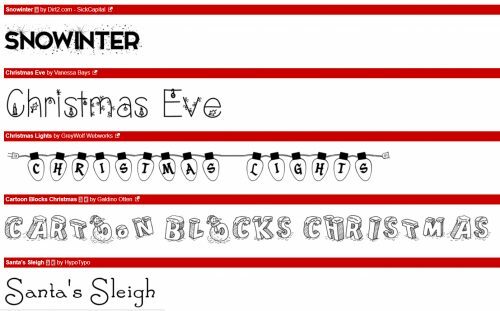 They’re not all typical Christmas-y fonts, but would absolutely work. I think Peanut Butter Smoothies would be terrific for story-telling. 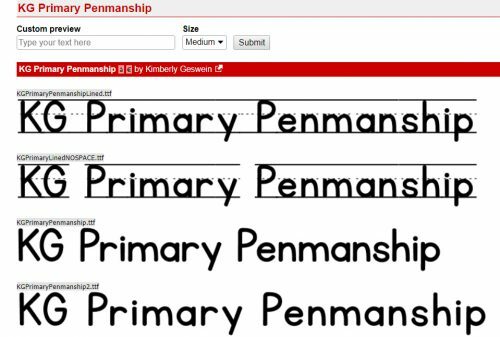 If you need a refresher on combining fonts, you can find that tutorial here. 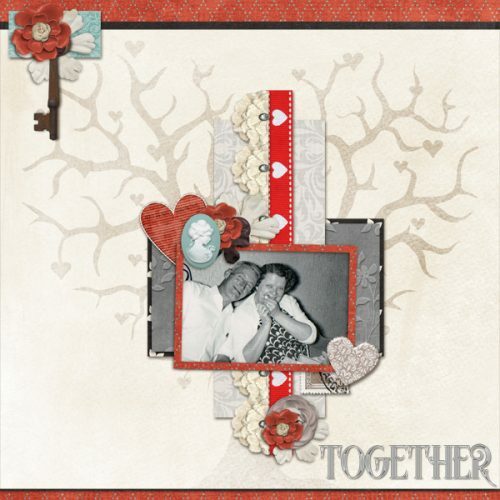 I can’t wait to see all the special layouts you’re going to create with your family photos. 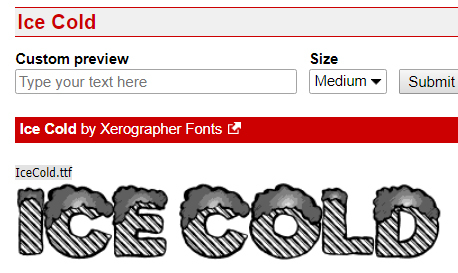 You can be sure I’m going to be looking for some of these fonts. Guaranteed! Merry Christmas, Happy Chanukah, Happy Kwanzaa… Festivus, Alban Arthan, whatever winter festival you’re celebrating… and a Happy New Year!